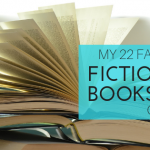 I was buying The Fault in Our Stars for my daughter to read when I ran across John Green’s book, Looking for Alaska . The book is about 16-year-old Miles Halter and his adventures with the friends he makes while attending boarding school in Birmingham, Ala. Miles is the most “vanilla” of the students, a good boy from a traditional family in Florida. He goes to boarding school searching for the “great perhaps.” I’m pretty sure he finds it. Miles’s roommate, Chip, is a poor scholarship student with a rebellious side. Chip’s best friend, Alaska Young, is a beautiful, vague, complex, sad girl who Miles soon falls in love with. Takumi and Lara, both international students, round out the group. The book is organized in “before” and “after” sections, but I wasn’t really sure what they meant until I reached the book’s climax. I won’t ruin that for you here but, when it occurred, I couldn’t put the book down. A friend who also read the book said it wasn’t Green’s best writing, but she enjoyed it. It would be difficult to top The Fault in Our Stars (Read my full review. ), but I think Looking for Alaska is a close second. The thing that strikes me about the book is how Green captures the extreme way teens experience seemingly all feelings through his characters. 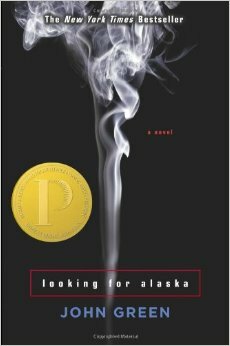 It may not be The Fault in Our Stars, but Looking for Alaska certainly is worth a read.